Omega-3 fatty acid, the supplement derived from fish oil, had been considered a natural substance that could alleviate many chronic ailments. But a new study form Duke University testing whether fish oil could improve asthma in adolescents and young adults who were overweight or obese, found using fish oil every day didn’t improve symptoms. Findings from the new study—published recently in the Annals of the American Thoracic Society through an article titled “Fish Oil Supplementation in Overweight/Obese Patients with Uncontrolled Asthma: A Randomized Trial”—showed that fish oil a day for six months did not improve asthma control, as measured by a standard asthma control questionnaire, breathing tests, urgent care visits, and severe asthma exacerbations. Two years ago, scientists at Rochester University found evidence that fish oil could fight asthma. That study was published in the Annals of the American Thoracic Society this week. The 98 overweight/obese participants in the study ranged in age from 12 to 25 with an average age of 14 and a half . All were diagnosed with asthma by a physician but had poor asthma control, despite using a daily inhaled corticosteroid to control their asthma. About half the participants were African American. For every three participants assigned to take fish oil for 25 weeks, one was assigned to take the soy oil placebo. The researchers don’t dismiss entirely the possibility that fish oil may help. They wrote that the study’s negative findings may not be the last word on fish oil and asthma and increased doses of fish oil over a longer period of time may produce a different result. 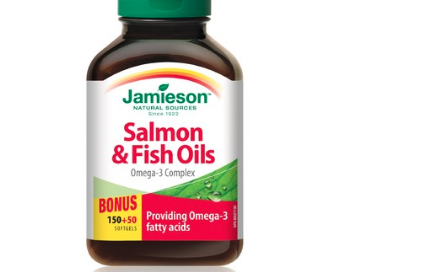 There is insufficient evidence for clinicians to suggest to patients with uncontrolled asthma that they should take daily fish oil supplements to help their asthma,” Lang concluded.